TechSoup is transforming organizations and having a ripple effect in the non-profit world. TechSoup is dedicated to connecting nonprofits, charities, foundations, and public libraries with technology products, services, and free learning resources needed t o make informed technology decisions and investments. TechSoup partners with key technology players such as Adobe, Cisco, and Microsoft to provide donated and discounted software and refurbished hardware for eligible non-profit organizations. Through its website, TechSoup provides two types of memberships: 1) for the eligible entities identified above, and 2) for non-eligible entities. Eligible organizations are able to access free and discounted resources. Non-eligible organizations are able to access resources through TechSoup’s articles, blogs and webinars posted online. The average nonprofit saves $12,000 on technology products over the course of its TechSoup membership! Technology is an integral part of any organization, especially in today’s Information Age. Staying current with technology allows an organization to sustain quality service and efficiency levels, while saving money. However, choosing new technologies can be overwhelming and sometimes an outside expert is needed. 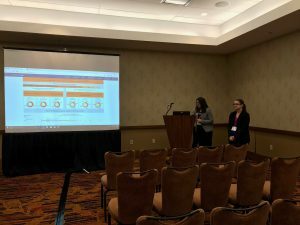 TechSoup has partnered with several technology consulting services to provide consultation for non-profits to assist them in making such decisions. This is yet another benefit of TechSoup! Transform Consulting Group applauds TechSoup for its leadership in connecting non-profits with great technology resources, services and information. Transform Consulting Group is dedicated to helping organizations stay current with the latest research and best practices. Follow us on Facebook, Twitter, LinkedIn, or contact Transform today to learn more! 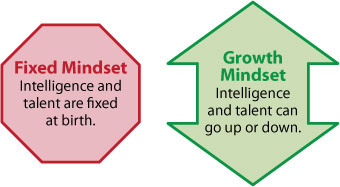 Do you have a “fixed” or “growth” mindset? People with a “fixed” mindset believe they are stuck with the intelligence or ability they are born with. They spend time worrying about the adequacy of their talents instead of developing them, or avoid challenges for fear of looking and feeling dumb. They think talent alone creates success—without effort. People with a “growth” mindset believe intelligence can be developed. The more they learn, the smarter they become. They work hard and welcome challenges. This view creates a love of learning and a resilience that is essential for great accomplishment. Teaching a growth mindset creates motivation and productivity in business, education, sports, and personal relationships. Growth Mindset involves reframing failure as a state of mind rather than a state of being. Words like “smart” and “gifted” are replaced with “focus,” “determination,” and “hard work.” And, it can be taught early. In one study, Dweck and other Stanford and University of Chicago researchers visited 54 families over two years to assess how they praised their toddler-aged children. Five years later, the children were surveyed on their attitudes toward challenges and learning. As expected, those who had heard more praise as toddlers for their efforts (rather than their intelligence), tended to be more interested in challenges. These now-school-aged children had developed a growth mindset. Can a fixed mindset become unfixed? Dweck had the same question. She studied middle-schoolers and college students with fixed mindsets and found students were able to improve their grades when they were taught that the brain is like a muscle; the more you use it, the stronger it gets. The brain is exercised by embracing challenges, practicing skills, and learning new things. At the Lenox Academy for Gifted Middle School Students in Brooklyn, N.Y., kids no longer hear the words “smart” or “gifted”. Instead, teachers praise students for their focus and determination. “You must have worked really hard!” This way, kids grow less afraid of making mistakes, and more willing to ask for help. In the three years since employing a growth mindset framework, test scores at Lenox have jumped 10 to 15 points. 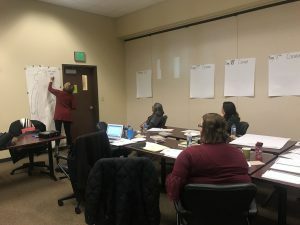 Transform Consulting Group applauds the Lennox Academy and other organizations that have implemented a growth mindset framework into their programs to increase student achievement and success. Transform Consulting Group can help develop or revitalize programs at your organization utilizing latest industry trends and best practices. Contact us today to learn more!